Normal estrogen levels are essential for a woman's body to function properly. Consequently, when levels are too low, her body will take note accordingly. Continue reading to find out more about the signs and symptoms of low estrogen in women as the first step toward hormonal equilibrium. When estrogen levels dip below normal, what results is a plethora of symptoms most typically associated with the menopausal transition. However, these symptoms can occur during any stage in life. 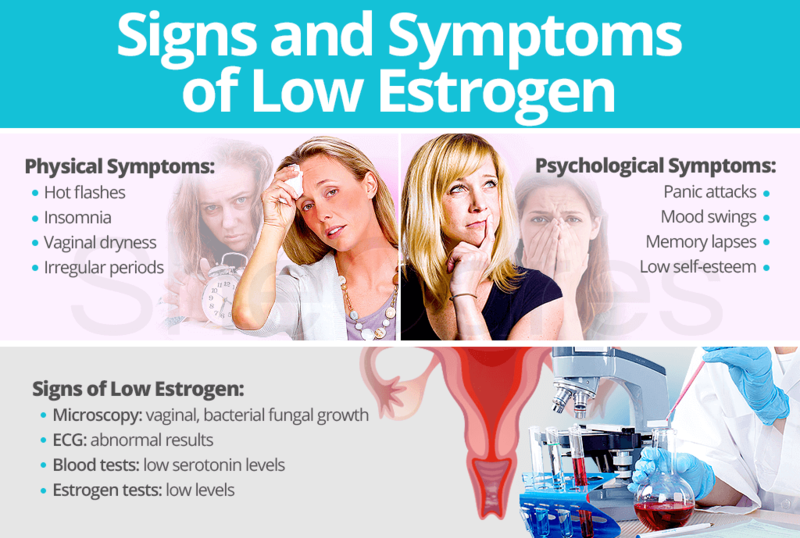 Women may not immediately recognize that the underlying cause is low estrogen levels as symptoms can be varied and subtle, easily attributed to a different source. In addition to the most widely experienced symptoms outlined above, there are a number of signs that one might not normally equate with low estrogen levels. As opposed to more evident symptoms, medical signs are measurable criteria that are usually assessed by a physician to help identify a diagnosis of hormonal imbalance. When estrogen levels remain low for a more permanent amount of time, more serious conditions may develop from an estrogen deficiency. Continue reading to learn more about two major, life-threatening health conditions caused by consistently low levels of estrogen. Osteoporosis is a degenerative disease that makes bones thinner, weaker, and more susceptible to fractures. Estrogen helps prevent bone loss by keeping osteoclasts - bone-absorbing cells - at a controlled amount while improving the body's absorption and retention of calcium. If bone degrades quicker than it is produced due to an estrogen deficiency, a woman's chances of developing osteoporosis at some point during the menopausal transition increase. Moreover, heart disease is also a major condition that can arise with consistently low estrogen levels since the hormone plays an instrumental role in the organ's health. Estrogen helps regulate cholesterol production, thus decreasing the build-up of plaque in coronary arteries. It also helps keep blood vessels pliable and strong to allow for appropriate expansion and relaxation. But as a woman ages, an estrogen deficiency makes her more susceptible to contracting atherosclerosis and heart disease. Find out more about how to increase estrogen levels and finally achieve hormonal balance. 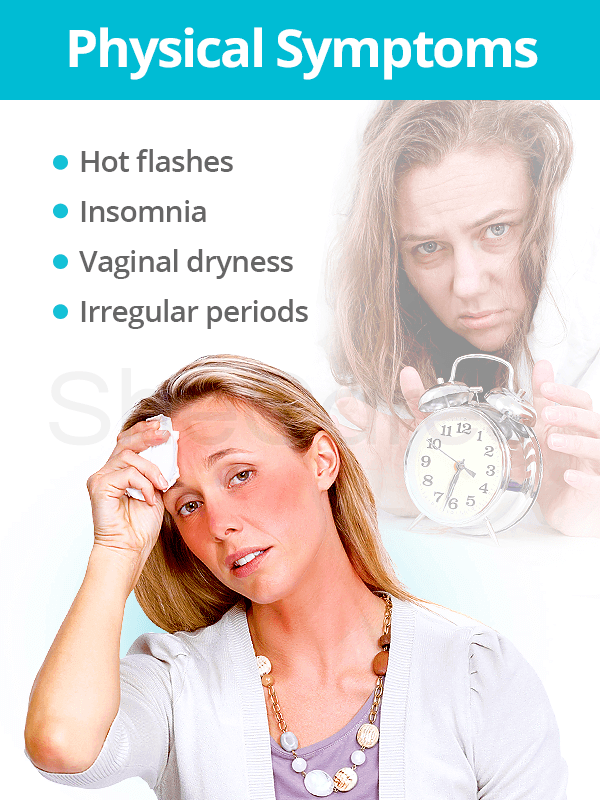 What Are The Symptoms of Low Estrogen Levels during Menopause?